Making sure all your golf equipment is maintained and clean is key to preserving them for a long time. Golf clubs can be expensive, so it’s beneficial to you to keep them in a good condition to avoid having to replace them often. You might be wondering what the best way to clean golf clubs is, and the answer is much simpler than you might think. 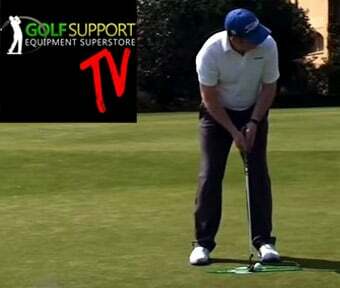 This easy guide will take you through the steps you should take to achieve clean golf clubs. Before starting to clean your golf clubs, be sure that you know which types of golf clubs you own and want to clean, so you can follow one of the 3 set of steps accordingly. This is because each golf club’s materials vary and there are different cleaning methods for each type. So, it’s important to establish whether you have metal clubs or metal ‘woods’ or wooden woods. Fill a bucket with warm water and fill the bucket just enough to cover your club heads. Do not use hot water as it may loosen the club head from the shaft through the ferrules which join the two together. Add 2 or 3 teaspoons of dishwasher liquid or mild soap to the bucket of water. Submerge your dirty club heads into the soapy, warm water for 5-10 minutes so the dirt from your club heads can loosen and be taken off easily in the next step. If your iron clubs are exceptionally muddy and need a deeper clean – you can leave them in the water for 15-20 minutes. Take each club head out of the water, one by one, and get an old toothbrush or a soft-bristle brush to scrub the remaining dirt from each club head. Make sure that you scrub all areas of your club heads – the back, front and bottom, including each individual groove. If the grooves are not cleaned properly – they will negatively impact your next game, so make sure that this step is completed thoroughly. Once you have brushed the dirt off, make sure to run the club heads under water, being careful that water does not get on the shaft and grips of your club. Next, dry the club heads with a towel – make sure the club head and shaft are not left damp as they can easily become rusty. 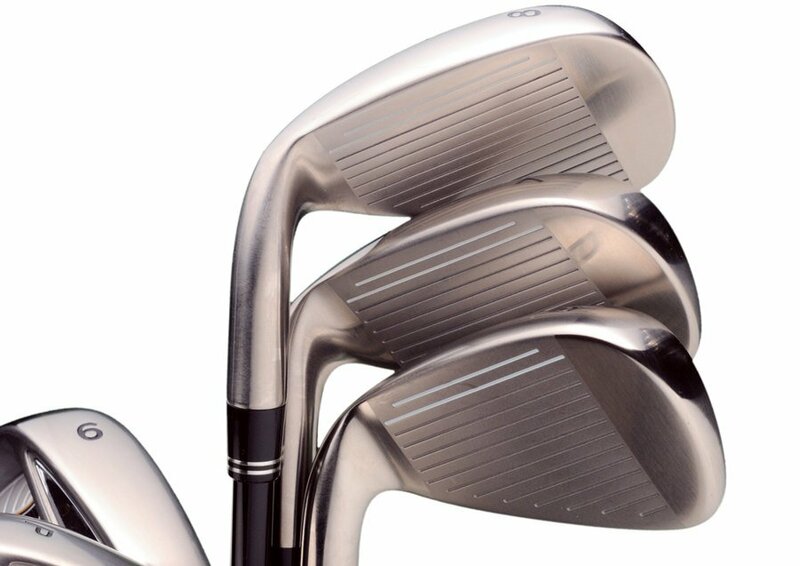 To make your club heads look as good as new, apply a bit of steel or chrome polish and rub it in gently, in circular motions, and leave for a minute. Then make sure you remove all the polish– no grease should be left on the club head. For metal woods e.g. drivers and fairway woods, the cleaning process is different, as these kinds of golf clubs should not be submerged in water. Mix warm water and 2 teaspoons of dishwashing liquid or soap into a bowl or a bucket (depending on how many clubs you need to clean). Dip your soft-bristle brush or toothbrush into the mixture and carefully scrub your club head, making sure that it doesn’t get too wet. Once you’ve cleaned the club head, dry it off with a towel. 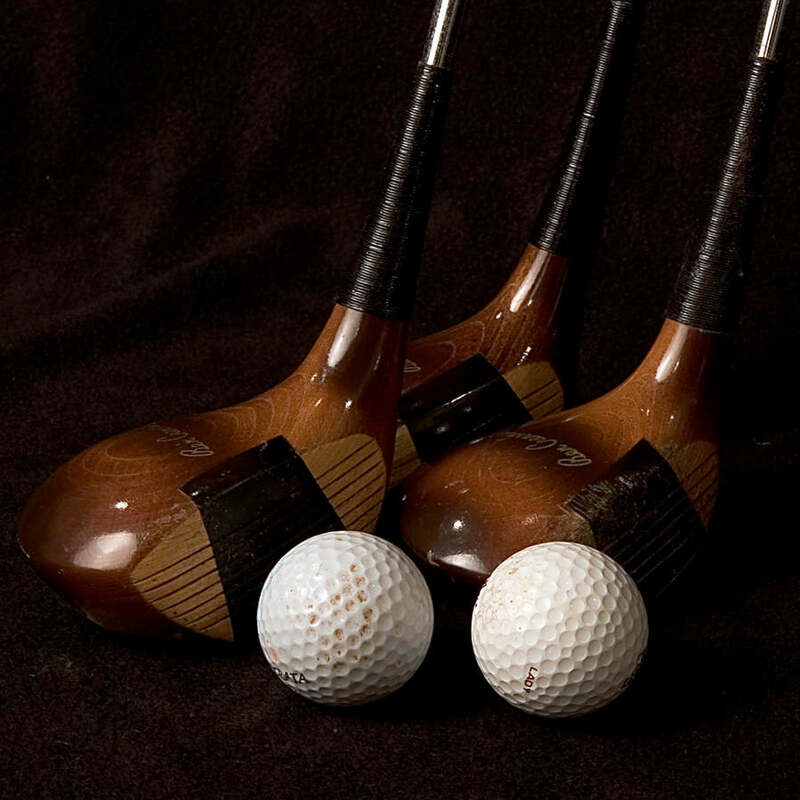 Golf clubs that are made from wood are much more fragile and tend to be much older than those that are made from metal. These clubs should not be dipped in water either, and they should definitely not be scrubbed with a brush. Follow these steps to clean your wooden golf clubs. Get a bucket of warm water and dip a cloth into it so the cloth becomes damp. Carefully wipe down your wooden clubhead to take the dirt off. When your club head is clean, be sure to dry it with a towel. It’s important that you don’t neglect the golf club shafts after you have cleaned your golf club heads. Golf club shafts can be prone to dirt too. To remove the any dirt, you must use a damp cloth to clean and clear any grime from the shaft and then dry it thoroughly with a towel. 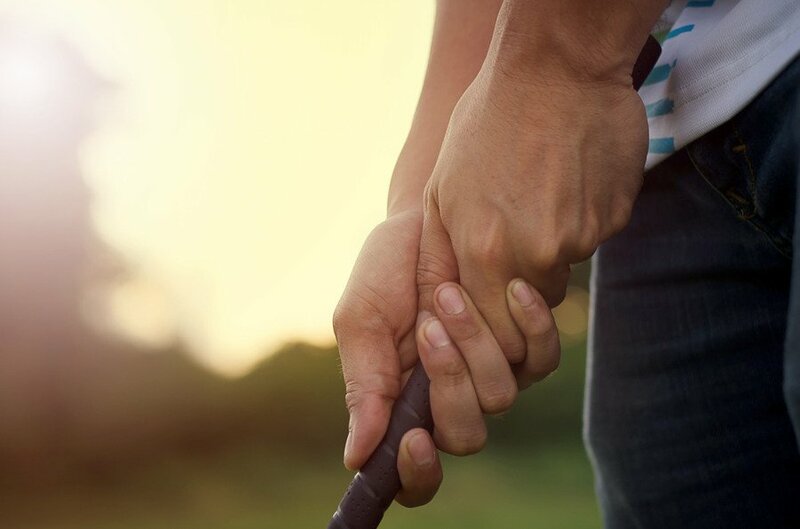 If you’re wondering how to clean rust off golf clubs – just apply some vinegar on the shaft with a cloth and slowly remove any residue, being careful not to scratch the shaft. After you’ve done this, make sure to dry the shaft from the vinegar thoroughly. The grips of a golf clubs are very important as they can easily get dirty and worn from sweat. Be sure to clean your golf club grips often, preferably after each time you play. It is a simple method – get a damp cloth and wipe it over the entire grip’s surface and then rinse with water, making sure it’s not hot as this could damage the grip. After this, dry the surface with a towel and check to see whether any water has got onto the shaft, and dry that too – if necessary. 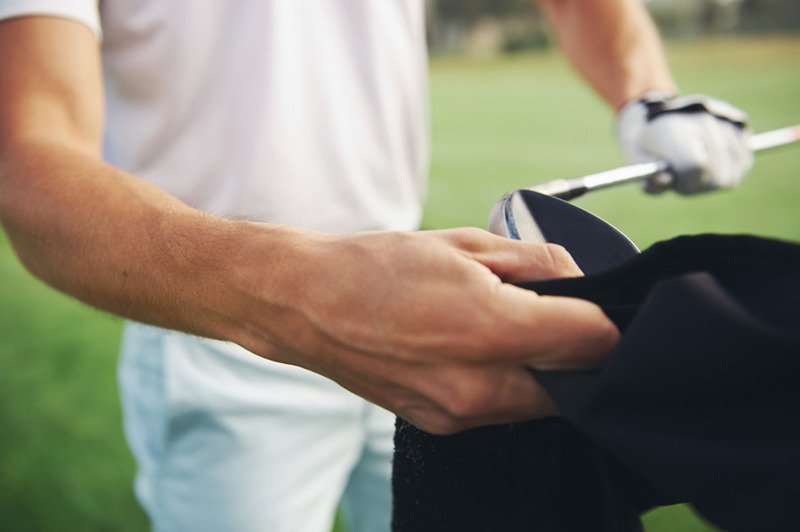 After following one of the three golf club cleaning guides, the final step, that applies to all the methods, is to put your clubs back in your golf bag – and pack them properly, ready for your next game!